Yamaha YPG-535 Review: Is it worth buying in 2019? The Yamaha YPG-535 features amazing components packed in a small grand piano. This model features a nice backlit screen and meets many needs with an attractive price range. Featuring 127 panel accessible voices and adding on another 361 XGLite voices, there is an endless amount of sound to be made. The high tech features on this piano are compatible with the hi-tech piano player. Boasting a graded soft touch that has USB connectivity and Performance Assistant Technology are just some of the bells and whistles you will find within the YPG-535 by Yamaha. The Yamaha easy song arranger is a great tool to remix those MIDI files. It allows you to play music in your own uniqueness. You can even use various modes, like split and layer, to enhance the sound you hear. The memory feature in the YPG-535 will allow you to save a maximum of 16 settings at any time. This allows you to personalize your piano. If you share the digital piano, this is a feature that allows many hands to play the piano. Save everything from sound to other settings. It creates a perfect mode for everyone who chooses to use a digital keyboard. Transfer your music back and forth from computer to digital keyboard. It makes it easy to have music on the go and that makes an easy tool for transporting your music anywhere. Yamaha has an educational component that has interactive lessons for the eager learner. 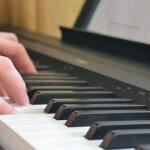 You can master the piano and have a monitored progress. With over 30 built in songs and about 70 packed into the CD, you have a few options to get started right away. You can play most songs and, if you want new songs, you have access to a USB drive to download more songs. The Yamaha YPG-535 is a tool that powers computer recording. This small grand piano can be used with your song-recording program to add sequence and dynamics to your music. You can create MIDI songs and access ever transfer via USB. With a big database, there are options for the player to load their own songs, the player also has an option to customize the sound and voice that they hear. The Yamaha YPG-535 will automatically select the best sound for both right and left hand. It will also correct the tempo and musical style. You can now search for piano music and load to play anytime. You can use the YPG-535 as a portable MIDI controller to create complex songs using your favorite software-sequencing program. Also, you can easily load the songs you want, or compile all your songs on USB. 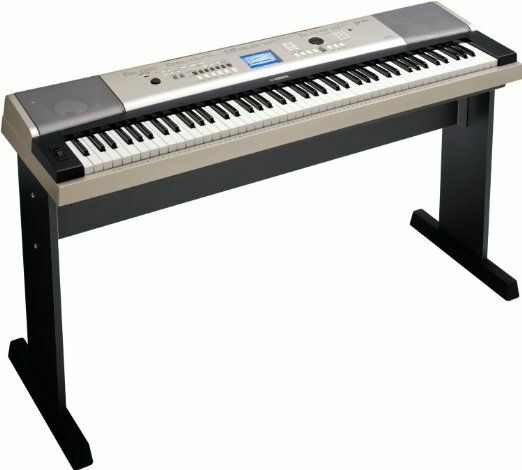 Accommodating beginners to more seasoned piano enthusiasts, the Yamaha YPG-535 is perfect for all needs. You can start playing immediately because the features are easy to navigate. You have access to the two-way stereo speaker, voices and bass ports. There is an option to cancel out noise and play in complete, uninterrupted, silence if you use the headphone jack. While there is a few major features like mentioned, there are a few setbacks. Your 88 piano keys are not weighted. If you’re a piano player, you will notice the difference that weighted keys offer. They are more acoustic in both touch and feel. 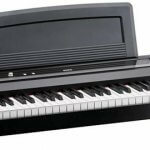 The Yamaha is still an excellent piano for anyone looking for something sturdy to accompany any skill level. 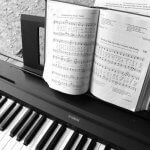 If you’re picky and want more polyphonic notes (weighted keys) there are other options out there to consider. 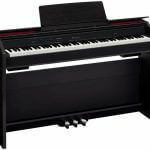 Overall, the pros outweigh the cons and this piano has received outstanding reception in the marketplace. Access to a database of built in music. Instructions not as detailed as they should be. Screen may be a bit smaller than expected. The Yamaha YPG-535 has added their portable grand to one of their powerful series. With an affordable price, there are lots to marvel at. 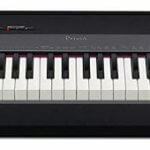 The unlimited music database, six-track sequence, USB connectivity and Flash ROM memory will get any piano creativity to grow. With the flash memory built into the piano, you can choose to download more songs. The keys are designed to have a lightweight touch that is both natural and easy to play. It’s a true portable grand with realistic sound. Piano players of all skill levels can work with the shortcomings, and high quality features, of the Yamaha YPG-535.